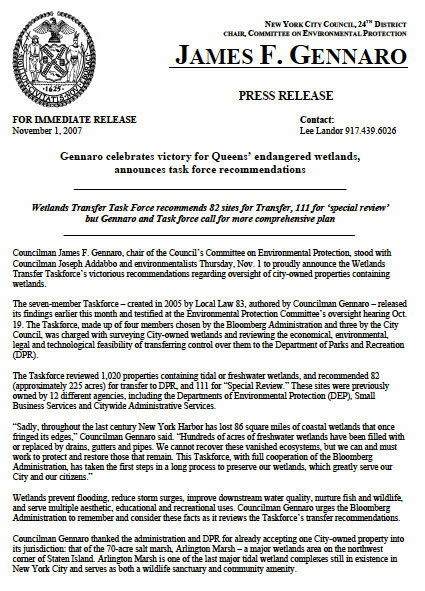 I wrote this press release in November 2007 to distribute to the media following a press conference I coordinated, in which Councilman James Gennaro announced his successful mission to protect New York City’s endangered wetlands. In order to research and write the release, and plan Gennaro’s announcement, I reached out to other organizations and advocates involved in the cause, and coordinated their input and appearances. The press conference was a success and garnered significant media attention. 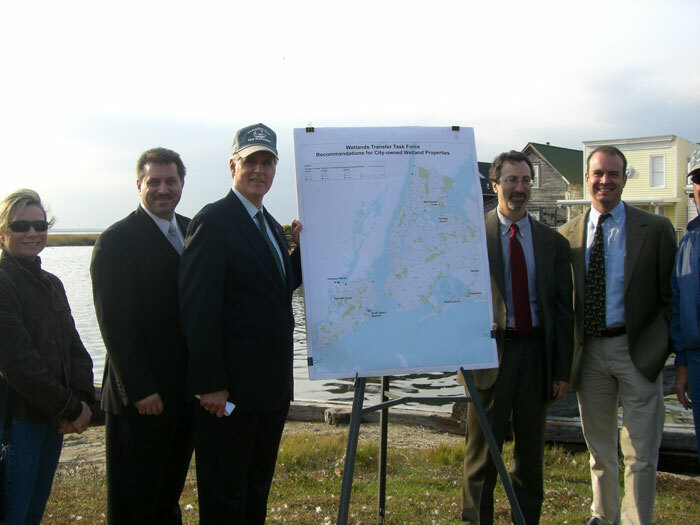 The release secured placement in a number of publications, including the New York Daily News, the Queens Chronicle, and the Times Newsweekly. Click the image below to view the two-page press release in its entirety.